NOTE: As of August 1, 2018, Croker Fire Drill Corporation / Croker Fire & Life Safety Institute (“Croker”) has acquired the business of REMS Training, Inc. (“REMS”). This acquisition combines two companies with already aligned missions and visions to the benefit of their customers. This endeavor will provide increased deliverables with superior bandwidth for services and administrative support. Please be advised payment is required at time of registration. Confirmation letters will be sent to all registrants. Croker Fire & Life Safety Institute’s classes are accredited by the Fire Department of New York (FDNY). 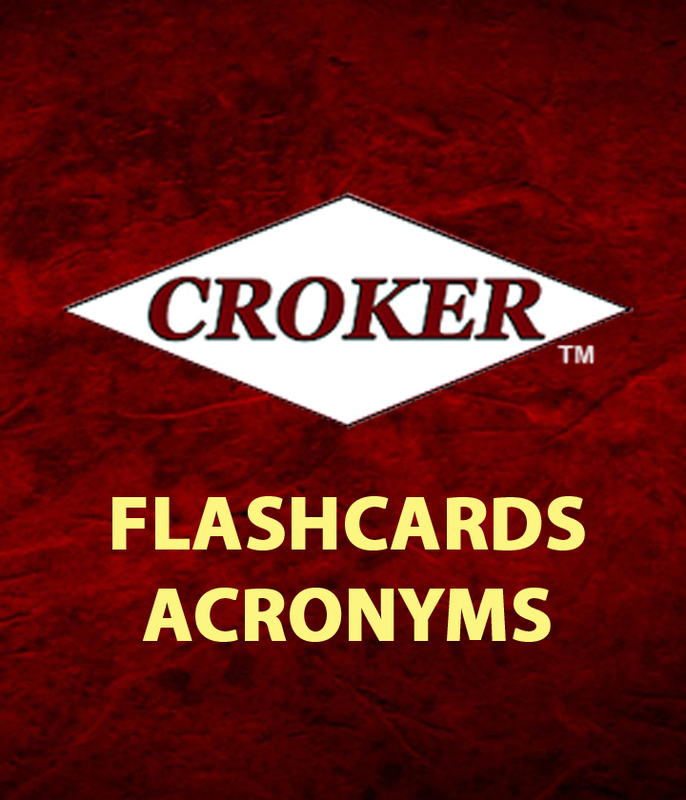 Note: Upon successful completion of a FDNY course, each student will be given an original Certificate of Completion with Croker’s seal, as required by FDNY rules. Any request for a reissue of your original Certificate (with Croker seal) will incur a $10 fee, payable via credit card, at time of request. Croker Fire & Life Safety Institute’s classes are accredited by the New York State Division of Criminal Justice Services (DCJS). Note: The Security Guard Act of 1992 and New York State General Business Law Section 89 requires the training and registration of security guards in the state. Section 89-G of Article 7A requires all persons engaged in security guard activities be registered with the New York Department of State (DOS), and complete all training (unless exempt) at schools approved by the Division of Criminal Justice Services (DCJS). Croker is proud to offer candidates the most qualified instructors of FDNY and Security Guard Courses. With expansive knowledge and a wide-range of expertise, Croker Instructors prepare students with a full educational experience, which is essential to excel in a career of fire and life safety. Please check back frequently as additional classes will be added throughout the year. For additional details, select the course title below for a drop-down box to appear. Online: To register online please have available a VISA, MasterCard or American Express credit card. PayPal is also accepted for online registration. Phone: If you should have any questions, please call our office at 631-277-7602 between the hours of 9AM-5PM, Monday through Friday. Please be advised payment is required at time of registration. A $30.00 service fee will be charged for all returned checks. Cancellation Policy – Cancellations received less than two weeks prior to the scheduled course date will be subject to a 20% administrative charge. Registrants who do not cancel or attend forfeit the entire fee. The fee may not be applied to the next scheduled class. Course substitutions are permitted prior to the first day of class. Local Law 5 of 1973 – To amend the administrative code of the City of New York in relation to fire safety requirements and controls in certain office buildings. Local Law 41 of 1978 – To amend the administrative code of the City of New York in relation to fire protection for places of assembly. Local Law 16 of 1984 – To amend the administrative code of the City of New York in relation to fire safety requirements in certain buildings and repealing certain provisions thereof. Local Law 58 of 1987 – To amend the administrative code of the city of New York, in relation to providing facilities for people having physical disabilities. Local Law 26 of 2004 – Relating to the retroactive installation of sprinklers, exit signs, and photoluminescent markings in high rise office buildings and other prospective changes to the code relating to fire safety. 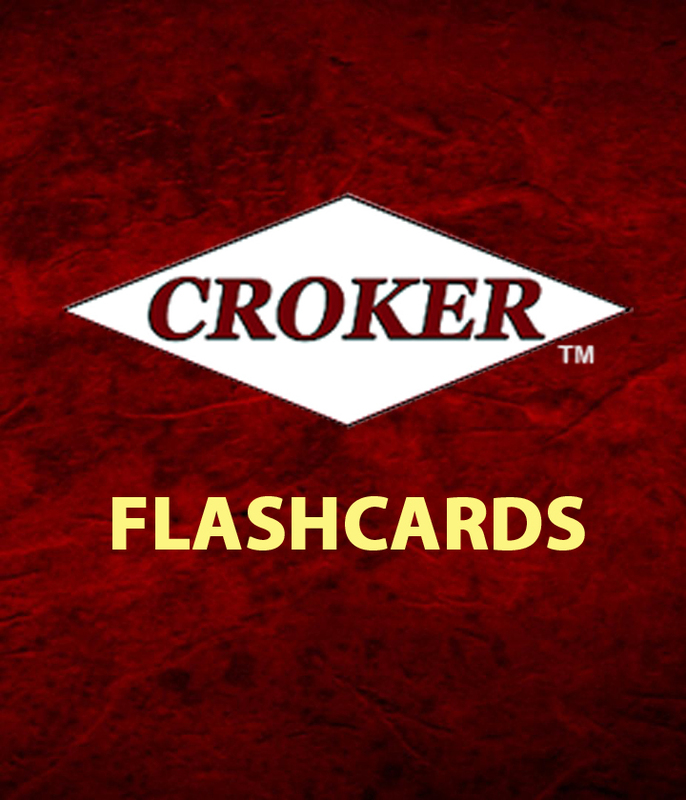 As a courtesy, Croker Fire & Life Safety Institute offers the below interactive study material (multiple choice quizzes and flashcards) to enhance the knowledge of current and future Fire and Life Safety Directors (FLSD). – These interactive quizzes and flashcards are functional within commonly used web browsers. Individuals using “Internet Explorer” are encouraged to use a different web browser for optimal presentation. Interactive quizzes will be added throughout 2019. Disclaimer: This study material is provided for general guidance only. It does not constitute legal advice nor should it be relied upon to satisfy federal, state or local laws, regulations or other legal or technical requirements. 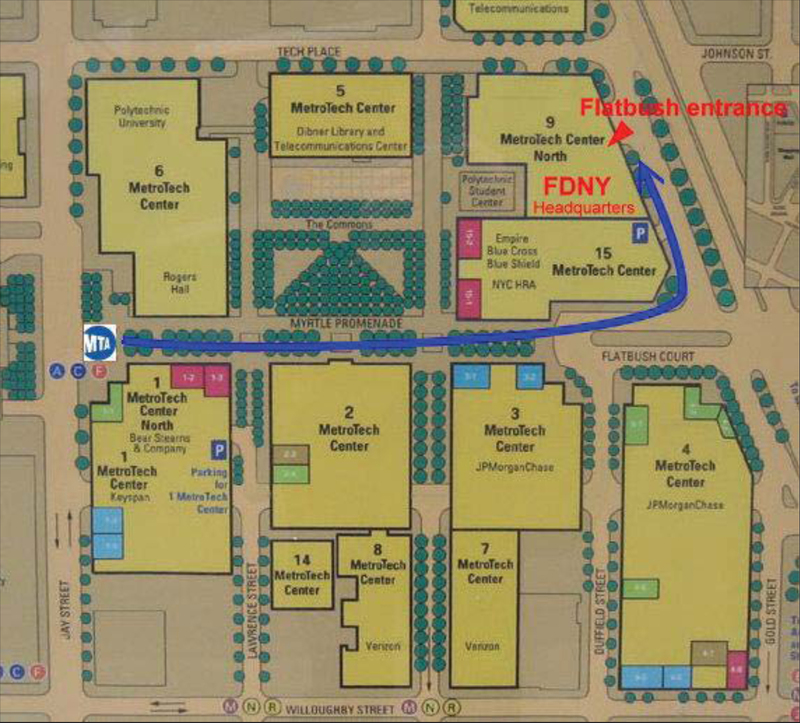 Below is the link to schedule the CBT exams at FDNY Headquarters (9 MetroTech Center, Brooklyn, NY). The Fire Department requires the candidate to create a “user log-in” when scheduling this exam, so Croker is unable to schedule this test for candidates. To schedule an exam, click here. Computer Based Tests for Fire and Life Safety Director will NOT be administered to individuals unless an appointment is made. Once checked, a pop up window will bring you to a calendar to schedule an appointment now. Note: To cancel or reschedule an existing appointment, 24 hours advance notice is required by the FDNY. Fire Emergencies Computer Based Test (Fire CBT) – Candidates must successfully complete all 31 hours of FLSD course instruction including Fire Emergencies (20 hours), Non-Fire/EAP Emergencies (7 hours) and Active Shooter/Medical Emergencies (4 hours) prior to taking the Fire CBT. Upon successful completion of all 31 hours of FLSD course instruction, candidates have nine (9) months to successfully complete the Fire CBT. Non-Fire Emergencies Computer Based Test (Non-Fire CBT) – Candidates must successfully complete the Fire CBT prior to taking the Non-Fire CBT. Upon passing the Fire CBT, candidates have nine (9) months to successfully complete the Non-Fire CBT. — Note: Any occupancy requiring a Fire Safety Director though not requiring a Comprehensive Fire Safety and Emergency Action Plan (such as Hotels / Motels): Building management/ownership shall complete (on company letterhead) a T-89 Designation Letter for each candidate. Candidate must bring the completed letter to FDNY Headquarters in order to take the Non-Fire CBT. It is also recommended that a copy of the completed T-89 Designation Letter (for each candidate) be kept at the Fire Command Center. — Note: Existing Fire Safety Directors (F-25 / F-58 / F-85) are required to take the Non-Fire CBT within nine (9) months of school completion or before March 1, 2019 (whichever is sooner). Present 2 forms of identification, at least one identification must be government issued photo ID, such as state-issued drivers’ license or non-drivers license or a passport. Pay $25 testing fee by credit card (no debit), cash, money order or personal check (payable to New York City Fire Department). (Note: Each candidate will need a separate check). (D) Equivalent experience acceptable to the FDNY. Present proof by having employer or previous employer(s) submit a notarized affidavit confirming qualifying experience to the FDNY. Note: When a candidate passes the Computer Based Test, please advise your Croker Service Representative and/or the Croker office (onsites@crokerfiredrill.com) so that we can schedule an FDNY onsite exam. Applicants will be given two (2) opportunities to take and pass the CBT before having to retake the applicable FLSD course. Candidates must successfully complete both the Fire CBT and Non-Fire CBT prior to scheduling the FLSD onsite exam. Upon passing the Non-Fire CBT, candidate will receive a Certification of Completion from the FDNY. Candidate then has one (1) year to successfully complete the FLSD onsite exam. For existing Fire Safety Directors (F-85), upon passing the Non-Fire CBT, candidate will receive a Certificate of Completion from the FDNY. Candidate then has to successfully complete the FDNY onsite exam within one (1) year or before March 1, 2020 (whichever is sooner). * Weeknight and weekend exams cost an additional FDNY (after-hours) fee. Also, a second staff member shall be present in the building to answer calls from the Fire Command Center (This individual does not need to be certified, however should have sufficient knowledge of the building). Note: To cancel or reschedule an existing appointment, 72 hours advance notice is required by the FDNY. Results can take 4-6 weeks to be received. If results are not received after six (6) weeks, please contact Croker so we can inquire on your behalf. Applicants will be given two (2) opportunities to take and pass the onsite exam before having to retake the applicable Computer-Based Tests (CBT). However, applications for a second onsite exam must be filed within the 1 year valid period of the school Certificate of Completion. There is a 30-day waiting period between the first and second onsite exams. Applicants are allowed to be certified at two (2) locations at one time without special restrictions. Note: When a candidate passes the onsite exam, please advise your Croker Service Representative and/or the Croker office so that the building’s plan documents can be updated. Minimum noise and no distractions during testing.